Project Agape began in 1993 through the efforts of the two United Methodist Conferences in North Carolina. This was an effort to bring relief to an area devastated by an earthquake, neighboring wars and the collapse of the Soviet Union. More recently this area has been further burdened by the influx of refugees from the Syrian civil war. 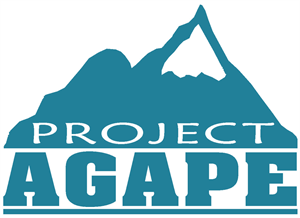 Project Agape is the only NGO working in the Nargano-Karabakh region. Severe winters and widespread poverty make the Armenian children more vulnerable. Agape Christmas Boxes that you fill will go to these children. Please consider filling one or more boxes. The 2018 Agape Christmas Boxes Packing List includes instructions for filling the boxes . You don't have to include every item on the list and feel free to include other age appropriate items. You are also asked to include $5 cash or check made out to NC Conference UMC to cover shipping. You may want to include a personal note or small pictures of your family or church. Empty boxes and instructions are available in the Welcome Center. Please have your filled boxes returned to the church by September 23, 2018. For further information contact JoAnn Barbour 584-4228 or joann@triad.rr.com. © Copyright , Front Street United Methodist Church. All rights reserved.